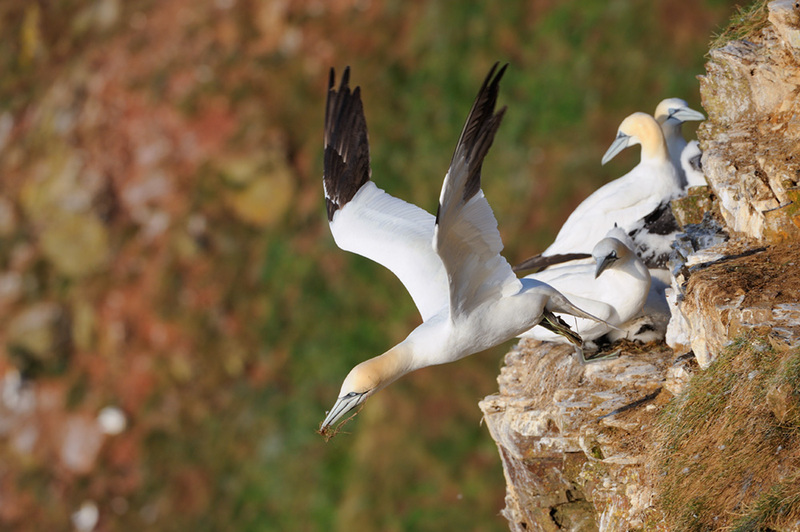 Over four million seabirds are at home in Scotland at this time of year. Many of them congregate in large colonies on cliffs around our 11800 km of coastline. The amazing spectacle of wheeling flocks of seabirds can be seen at various sites around Scotland, such as Fowlsheugh near Aberdeen. Many of the birds have come here to breed and Scotland’s islands especially are important for breeding seabirds, providing safe homes for them to rear their chicks. Have a look at this short video taken at a Fowlsheugh seabird colony. Seabirds in Scotland have struggled in recent years. Research suggests that reasons for the declines are complex and may be the result of a combination of factors including climate change, changes in fishing effort, and the effects of non-native species. 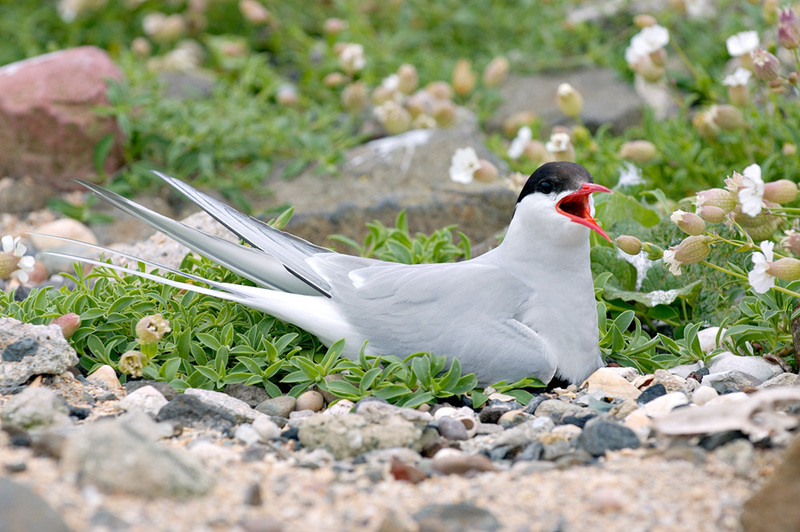 Arctic Tern, nesting on the Isle of May NNR. Many of our seabirds migrate south in the winter. Perhaps best known are the terns: the Arctic tern undertakes one of the longest migrations of any bird, heading south as far as the Antarctic to escape our winter. Forvie NNR has a large colony of Sandwich terns which breed on the reserve and then migrate to Africa each autumn. Another long distance migrant is the Manx shearwater, which can be seen in large numbers during the day around the Isle of Rum NNR. 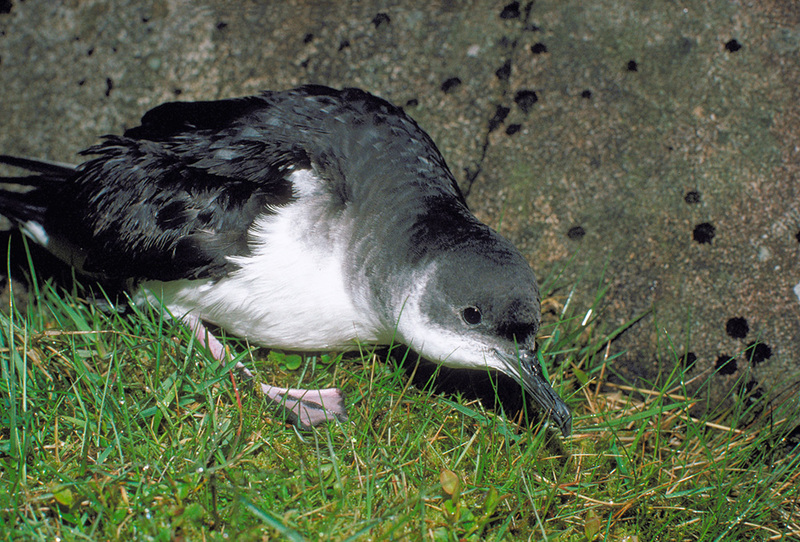 Approximately 90% of the world’s Manx shearwaters come to Britain and Ireland to breed, 40% of which breed on Rum. They only come to land at night but trips are regularly arranged to allow you to witness the birds’ noisy nightly return. The Manx shearwaters leave Rum from September and then travel south to winter off the coast of Brazil. The parents abandon their young before they fledge but, remarkably, the young already know the migration route to Brazil. Around now is probably the best time of year to see, hear (and smell!) large numbers of seabirds close up: from gannets at Ailsa Craig; shags, puffins and guillemots at Isle of May; those fantastic sea pirates, the skuas (great and Arctic) on Handa and on Northern Isles, such as Noss; and the noisy colonies of kittiwakes along the Caithness cliffs. Scotland has it all to see! This entry was posted in Birds, National Nature Reserves and tagged Arctic, Arctic Tern, cormorant, crossbill, Fowlsheugh, gannet, Guillemot, Isle of May, Manx Shearwater, NNR, Noss, Scotland, Scotland's Seas, Scottish Natural Heritage, Seabird, shag, skua, SNH. Bookmark the permalink.